Dental anxiety is a serious problem. Studies have shown that people who suffer from dental anxiety have worse oral health. I’ll explain the 5 most effective tips for beating dental anxiety and preventing dental anxiety in children. 1. Do not wait until you are in extreme pain to visit the dentist. Only visiting the dentist when you are in extreme pain is the worst thing you can do if you are afraid of the dentist. Once a tooth becomes very painful you are likely going to require a root canal or an extraction. Root canals and extractions are unpleasant and will only serve to reinforce your dental fear. You should visit you dentist regularly every 6 months, and at the first sign of any tooth discomfort. It is important to find a caring dentist who is able to put you at ease. Ask friends and family members if they can recommend a good caring dentist. Before you book an appointment with your dentist make sure to check the testimonials. Food For Thought: Don’t keep your search limited to a certain channel, for example – Yelp Reviews. Make sure to consider other major platforms like Google Reviews, too. Tell you dentist that you have dental anxiety and explain what it is that you are scared of. If you suffer from severe dental anxiety, discuss the option of administering sedation like diazepam, or nitrous oxide. Anxiolytics like valium can acutely help anxious patients cope up with their dental treatment. 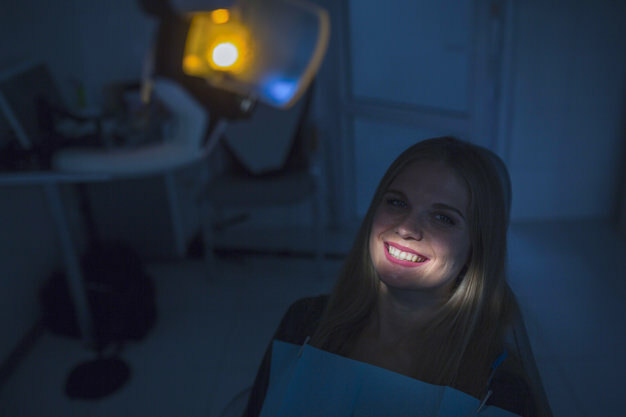 Many dental practices offer NO2, which can help patients feel relaxes during the procedure. Dentists can do most dental procedures under general anesthesia, but it is a last resort. Your dentist will help you know what will suit your needs the best. You should be brushing your teeth twice a day with fluoride toothpaste and floss once a day. Having healthy teeth and gums is the best way to avoid the dentists drill. If you are a parent who is afraid of the dentist it is very important not to let any of that fear pass onto your children. Children are perceptive and impressionable, if they see that a parent is afraid of the dentist they will naturally become afraid of the dentist too. Do not let your children know about your fear of the dentist. Here are some tips to ensure children to not develop dental anxiety. Talk about dental visits in a positive way. If you are scared of the dentist schedule your appointments on a different day than your children’s appointments. It is never too young to start bringing your child to the dentist for regular visits. Children under the age of 2 should simply experience time in the dental chair. From the age of 2 children should start having proper checkups and from the age of 4, getting cleans. Always give plenty of positive reinforcement and praise for good behavior at the dentist. Proper care, treatment and restorations are necessary and critical to preventing the decay from becoming worse. Call +1 708-794-9526 your own Pediatric Dentistry today to schedule your appointment with our team. A child will follow whatever people around him/her would do, especially, the parents. Likewise, your good dental habits somehow influence them. It is quite essential to teach your kids how to maintain a great oral health right from an early age. This way, they won’t face complications later in life. Tooth decay is one of the most common dental problems faced by children and today, we have spoken about how to prevent it. Every child deserves to lead a healthy life, but for that, few things must not be avoided. Do Not Feed them Sugary Food Items Much: Most kids love gorging on chocolates and every kind of sugary food items. But an excessive amount of sugar intake can damage their teeth completely. Your little one might not be happy with your decision of not allowing them to eat sweets but you have to deal well with their tantrums. You can put a spoon full of honey into a bowl of cereal or make a date paste and it in smoothies to enhance the taste. These won’t affect the teeth at all. Get Fluoride Toothpaste for Your Little One: When you have a kid at home, you must be extra cautious about everything and know about it’s causes. Therefore, make your child brush with fluoride toothpaste as it plays a great role in preventing cavities. It would be better if you also get a fluoride mouthwash for your little one. Brush Together: Children do feel that brushing is a task and due to an improper procedure, their teeth get highly affected. But what if you brush along with them? This works most of the times, however, if you can, then try making it an exhilarating activity because kids love doing anything that excites them. Make Them Eat Right: They say that eating right can not only ameliorate your body, but also the condition of your teeth. If children start having all the mouth healthy foods from the very beginning, then the chances of their teeth getting affected would be quite less. Hence, add a lot of kiwis, oranges, cauliflowers, raw carrots and so on to their diet. 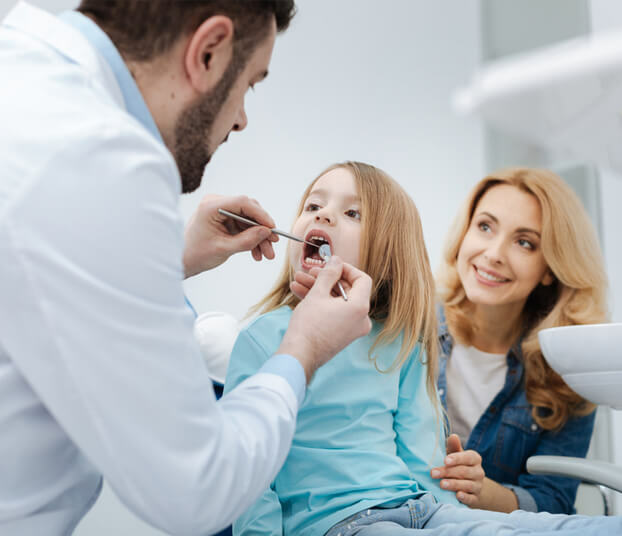 Dental Checkups are a Must: Take your little one to a pediatric dentist every month in order to prevent a dental disease before its emergence. Being a parent, you must keep this in mind that your child’s oral hygiene will help them to live happily. A child will never learn about dental health until and unless you take a step forward. Call us @(708) 794-9526 and we will tell you why it is important to have a set of healthy teeth right from childhood. Get Free Dental Consultation for your Child Today!